We are being asked to vote again for a Labour leader so it might be worth looking over the past nine months to assess Jeremy Corbyn's leadership of the party. There are a number of things - let's say six for starters - that a radical left leadership of the Labour Party must do. Now, you might not want a radical Labour leadership (I do) but that's a separate issue. Things need to be judged on their own terms. What are the things that Corbynism has to achieve - the things that are baseline requirements for success? I've got six - by all means chip in with more. But clearly none of them is "triangulate to the right on welfare cuts and embrace austerity." Because by definition if a radical left - or any left - leadership does that it counts as failure (see: Syriza, see also: Ed Miliband). Here I list them and rate Corbynism on each and I find a mix of successes and failures. Last year the majority of Labour MPs abstained on a vote on the Conservatives' flagship Welfare Bill, which would cut billions in working tax credits to low income earners. Jeremy Corbyn and a few rebels voted against it. When Corbyn became Labour leader he led opposition across society to further readings of the bill, after which it was hacked away at by the House of Lords, crushing George Osborne's budget. Eventually Ian Duncan Smith resigned as Secretary of State for Work and Pensions and billions remain in the pockets of poverty-wage and poorer workers. The crushing of Osborne's entire budgetary plan for the Parliament managed to fundamentally destabilise the Tory government. John McDonnell, Corbyn's ally and Shadow Chancellor, has spent months touring the country and running economics seminars, lectures and major conferences on the British economy with guest spots from economic heavyweights. The end result? Labour is not only a serious anti-austerity party, it also has serious economic ideas. The Labour Party will set up a National Investment Bank to mobilise £500 billion to rebalance the British economy and rebuild the country. Austerity is not only wrong - it's now also a politically dead. 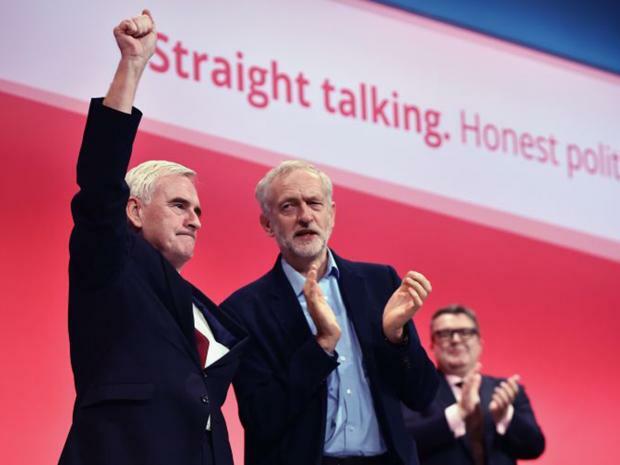 Thanks to the intellectual work McDonnell has done alongside the likes of Nobel laureate Joseph Stiglitz, Labour is ready with a convincing, radical alternative to the deficit spending the Tories will now have to embark on because of Brexit - spending which will largely go towards the wealthy. Get this straight: the Tories are now a pro-deficit party. Labour only wants to borrow for investment in struggling areas. This is directly because of John McDonnell. Corbyn is a lifelong unilateralist and as the recent Parliamentary vote on Trident renewal shows, Labour in Parliament does not agree. Corbyn has failed to win over almost anyone in the Parliamentary Labour Party to his position, despite a widespread lack of enthusiasm for nuclear arms in society at large. This has also not become a make-or-break issue for Corbyn supporters, which must surely count as a major failure. Part of a leader's job is to articulate sentiments into full-blown commitments. Corbyn has not done this on the foreign policy issue closest to his heart. Nevertheless, his speeches on the Chilcot Inquiry into Iraq are defining moments of his leadership and he no doubt gave voice to the lingering fury that exists in Iraq's wake. Corbyn's leadership has brought hundreds of thousands into the Labour Party and many thousands more into active politics for the first time. Yet within Labour and across the wider movements rumours circulate constantly that these members are simply absentee "clicktivits." Anecdotally speaking this is believable: I've heard plenty of Labour people complain of no-shows and even people inside Corbyn's support group Momentum bemoan a lack of groundwork. This is unfortunate, but it's in the nature of political activism: it never runs in a smooth line but comes in fits and spurts. Corbyn could conceivably have done more to encourage not only membership but broader and deeper political action on the part of his followers - however, this would have come at the cost of his ailing support among Labour MPs. The elusive dream of all leftists the world over. Notoriously difficult to build, even harder to control. No, Corbyn has not done this. He has attended strikes - namely, the junior doctors' strike - held meetings across the country, addressed Union conferences and shown up at every celebration of working class, BAME and LGBTQ culture going. These actions are virtually unprecedented by any Labour leader - or indeed any parliamentary leader - ever. But the dynamic so far just hasn't been there. Part of this comes down to the situation - with the left's long-term institutional weakness - but it is also down to the allocation of Corbynism's limited energies. Labour support was at, immediately below or just above that of the Tories in most polls up to Brexit (things were much worse a year ago, before Corbyn became leader). Corbyn seemed to be able to exert some control over the majority of the Labour Party. And despite the patent media hostility to him (and let's not forget Labour as a whole) things seemed to be slotting into a routine. Not much, but something to build on. Then came the coup - and the evident drop in the polls - with a no doubt crushing effect on Corbyn's presumed competence. Tactically canny as ever, this will be the line of attack by Corbyn's enemies in the leadership election. Unfortunately Corbyn's success in the country is closely correlated with his ability to command his MPs. Without them he will look to some like a disaster and there's nothing we can do about that. Perhaps a smoother media operation could avert some of the worst damage inflicted by resignations - but that would require much more time and resources than the team can possibly have. This obviously brings us to the Parliamebtary Labour Party and the mainstream media. Both work through well established networks and both unconsciously reinforce an image of what is acceptable and unacceptable in politics. This is not conspiracy, but simply an outgrowth of how networks of power work. The left must understand this simple fact and be creative in how it responds. I've often felt frustrated by Team Corbyn's inability to play the media at its own game, rather as Podemos has done in Spain (as explained in Pablo Iglesias's long form interview with the New Left Review last year). But it is worth recalling that Podemos has suffered in recent elections. There are some battles that cannot be fought through media cycles but are long term, patient affairs. Meanwhile, the Parliamentary Labour Party has been more hostile to Corbyn than many anticipated. Though many can be brought round, some will never be. But where would the Left ever find itself in more favourable circumstances? These are costly, wearisome battles - but Corbynism has no choice but to engage in them if it is to be successful in its central goal of rebuilding the labour movement. To shrug in fear would be to evacuate a historic responsibility. Corbyn is not in all ways best placed to fight all these battles. But the situation is fraught with objective contradictions that no leader could simply overcome. These are after all the dangers of wielding power and holding a position of leadership. One stark fact emerges from the above: success for Corbynism in one area necessarily leads to setbacks elsewhere. Each of these crucial tasks exists in a relation of tension with the others. And sometimes these tensions will explode. Progress organising a grassroots movement immediately enrages Labour MPs who feel threatened by Party democracy. Dogged attacks on the Tories from the left further alienates Labour's wealthy donors and enrages the right-wing media. Time and money invested in formulating serious economic policy leaves Team Corbyn less able to prepare itself for media onslaughts. Making a rational, honest case for remaining and reforming the EU leaves Corbyn open to attacks by his MPs for not being serious about EU membership. And so on ad infinitum. This is not to say that these aims are fundamentally incompatible - only that they are made so under the present circumstances. Team Corbyn is stranded with limited resources at the head of a vast, hostile Party machinery, facing off against an equally hostile state and dodging fire from the many militarised encampments of civil society. None of this should come as news - indeed many of us were warning of it to begin with. But at the same time none of this means Corbyn's leadership is doomed or that support is pointless. It simply means that successes are limited and provisional. As is true of all politics - just ask both David Cameron and George Osborne, whose careers have just come to a disastrous end. What's all the more surprising about this is that in September last year the whole of the British press believed they were Teflon. George Osborne was supposed to be the ultimate postmodern politician, someone for whom the brute laws of reality no longer mattered as long as he could spin a story. Well, reality caught up with them both. And the past year - since the media helped land the Tories a majority - has been an unprecedented disaster for both the Cameron leadership and the establishment media. They have called everything wrong and now they're out. In light of all this there is something of the Freudian Super-ego about Corbynism's left-wing critics. Whilst demanding that Corbyn does better, their supposed pragmatism is used to declare the necessary failure of any political project that does not absolutely prioritise accommodation with the centre. Yet by their own definition these are impossible demands. These demands cannot be met because Corbynism's left-wing critics do not really want us to meet them. In the face of the massive challenges to Corbynism and left-wing leadership more generally in the UK, we should not simply give up. We must instead honestly admit our defeats and build on our limited successes. Corbynism must eventually meet the historical demands placed upon it if it is to win out in the long-run. There will be setbacks in future, but as long as we are strategic that is no cause for despair.